led us further from knowing our true selves? Are we actually headed the wrong way? is far too important to miss. At last, this long-time goal has been realized in a remarkable program, The Essence of the Bhagavad-Gita: Every Person's Guide to the All-Time Spiritual Classic. The Essence of the Bhagavad-Gita: Every Person's Guide to the All-Time Spiritual Classic will help you discover the universal experience of God that is available to everyone, as revealed in the beautiful lines of the ancient spiritual text. In The Essence of the Bhagavad-Gita: Every Person's Guide to the All-Time Spiritual Classic, Steven takes you back to the heart and soul of concepts such as “nonattachment,” “present-moment living,” “transcendence,” and “karma.” You'll examine these concepts in their original context, rediscover their true meaning, and learn how to embrace them as powerful and deeply meaningful tools for spiritual transformation and growth. I am so pleased to be able to offer you a program that paves a clear, uncluttered path to the amazing truths of the Bhagavad-Gita. I hope you’ll take the first step along that glorious path, by ordering The Essence of the Bhagavad-Gita: Every Person's Guide to the All-Time Spiritual Classic today. P.S. For almost 6,000 years, the Bhagavad-Gita has revealed God’s spectacular design for humankind and the Divine secrets to achieving earthly peace and prosperity. Because you have a seeking spirit and an open mind and heart, I believe you are ready to encounter the astonishing truths contained in this ancient text. 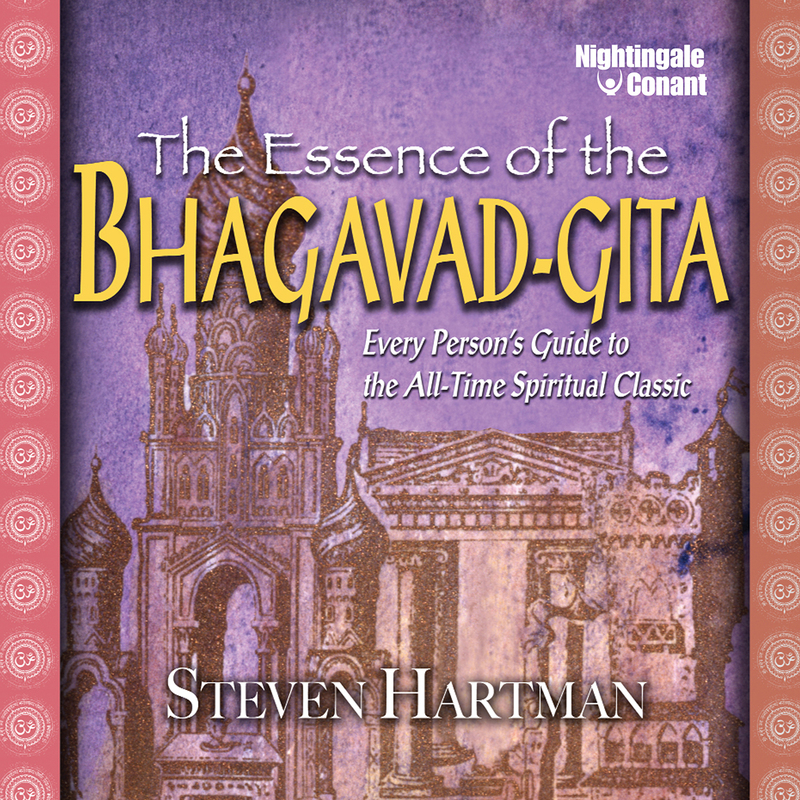 The Essence of the Bhagavad-Gita: Every Person's Guide to the All-Time Spiritual Classic will bring you in touch with the most important teachings of the Bhagavad-Gita and show you how to apply them to your life now. I want to radically transform my own spiritual journey forever! The Essence of the Bhagavad-Gita, at the special price below. - I can select one of two ways of ordering.